Promotional Distributor » marketing Hello Guest, You are not logged in. Please feel free to try out both of those e-mail marketing providers and see which one fits your needs better. We worked with both of them for several years and find the easy interface together with a lot of functions very helpful to manage our e-mail campaigns. If you need to reach new customers, let us do the marketing. 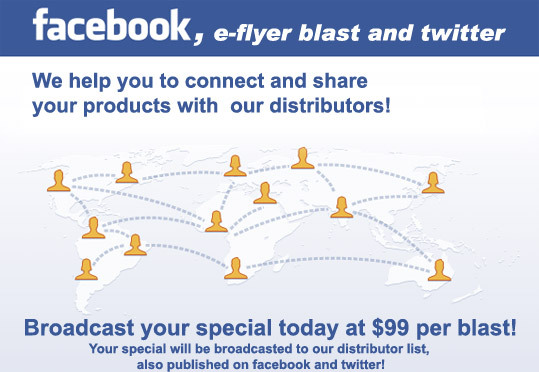 Reach our list of distributors and get your message published on social networks!